Celebrate the arrival of the 2018 baby! Comprises a unique, full-colour Possum Magic 50c coin exclusive to this set! Struck to flawless Proof quality by the Royal Australian Mint. Accompanied by a RAM Certificate of Authenticity. p>Featuring a new theme, new presentation and - for the first time since 2003 - a full-colour coin, the Possum Magic 2018 Baby Proof Set represents the birth of a new era for the Royal Australian Mint's ever-popular series. The first full-colour coin in the Baby Proof Set since the 'Australia's Volunteers' $1 in 2003, the highlight is the Possum Magic 50c - a coin that will only be found in this set! From the deft hand of Illustrator Julie Vivas, the front cover motif of Mem Fox's widely-acclaimed Australian children's book is quintessentially Australian. Complete with the original illustration's watercolour charm, it forms the perfect reverse design for this full-colour stunner. 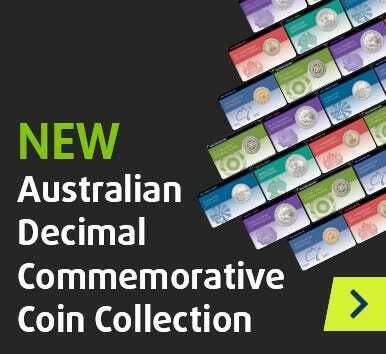 All six Australian coin denominations are covered in this set, from the 5c to the $2. However, unique 50c type aside, it's the superb quality of the strike that sets these coins apart from what you might find in your change. Crafted to the RAM's rigorous Proof standard, the quality of these six legal tender coins is vastly superior to that of circulating coinage. Since the dawn of decimal currency in Australia, the Royal Australian Mint has been the country's main supplier of coins issued for circulation. The release of its Baby Proof Set each year is a critical event on the collector calendar, as Australians flock for the ultimate gift to be treasured for generations to come. When it comes to packaging, these six coins are afforded the same level of care and attention that they receive between the RAM's carefully polished dies. They arrive housed in a luxurious presentation case, complete with plush interior, that is set within an illustrated outer sleeve. A Royal Australian Mint Certificate of Authenticity accompanies the set. There is simply no better way to honour a new arrival than with a tribute inspired by Australia's top-selling children's book of all time. Fox's charming tale of a young possum who yearns to be invisible has been capturing hearts for over three decades. As the book's cross-generational appeal confirms, this Possum Magic-inspired set would make a truly timeless gift.